An Old school boutique grade southern pine resin made by hand in Asheville, NC. SUSTAINABLE, 100% RENEWABLE INGREDIENTS: Special Grade Savannah Pine Resin liquified in Pure Citrus Solvent. Made in small hand made batches using proprietary pine resin techniques. DESCRIPTION: 3D is a unique, all natural wood finish that penetrates deeply into wood, opening up channels for light to travel. It gives wood grain a 3D Illuminated look when exposed to light from various angles. It is a rubbing oil lacquer. When we get a piece of wood that has incredible grain we use 3D first. It's not only for fine woodworking. 3D is ideal when mixed with Bio Poly Natural for interior wood finishing it brings wood alive and exposes nuances in the wood that were previously hidden. It's great for special wood floors, trim, timbers and fine woodworking pieces. If you ever have a piece of wood that is just mind blowing, tiger striped, curly, bird's eye, fiddle back this is the stuff you want to apply first. Using 3D pure can be quite pleasurable, especially on smaller, unique wood pieces. Plan to smile. The dry time is very short and the depth that can be achieved in one day is impressive. Nothing we have seen can illuminate the grain nearly as much as 3D. HOW TO USE 3D: For smaller interior woodwork (shelves, artwork, furniture) 3D can be used pure to illuminate the wood grain. It's sticky so sometimes we add a little bit of Bio Poly Natural or Pure Citrus Solvent to help it move easier. For Wood Floors and larger areas we recommend mixing it with Bio Poly Natural or Rainforest Sealer. Guitars and Wooden Instruments traditionally work from lean to fat. Many coats are applied starting with 3D as the first, highly resonant coat. Then subsequent coats are mixed with Bio Poly Natural until the wood is fully saturated and the appearance of film on the surface is achieved ( it is not actually a surface film but fully saturated wood glows giving the appearance of a film). 2. 2nd coat - Add 1 part Bio Poly Natural to 3 parts 3D. 3. 3rd coat - Same mix as 2nd coat. Generally, 3 coats will get to a french polish type look on most wood but the coats can be built up as desired. Just be sure not to leave a film on the surface. Let the wood grain shine out from below the surface. Wipe anything left on the surface off. It will build up on repeated coats to a beautiful rubbing oil patina. Pine resin is worked with to create a liquefied wood resin. Once infused into the wood fiber cell the wood grain reflects light back out giving a 3d effect. THEORETICAL COVERAGE: Old & Rough 30-40 sft / Pint. New & Smooth 60-100 sft / Pint. When a pint is added to a gallon of Rainforest or Bio Poly NT: Old & Rough 280-390 sft / gl. New & Smooth 560-900 sft / gl. USING 3D AS AN ADDITIVE: Add to Bio Poly Natural or Rainforest Sealer at any ratio desired to increase chatoyance (wood grain illumination), speed the dry time and increase hardness. 3D will make Rainforest and Bio Poly harder, faster and on nice wood you'll notice and increased wood grain illumination and sheen. Typically one pint to a gallon is sufficient. Mix only as much product as will be used that day. NOTE: Mixed product that is left to sit longer than 12 hours can settle and become difficult to disperse. A drill mixer is typically sufficient to liberate product that is left to settle for long periods of time but please be aware that is generally easier to mix as much as you are going to use rather than making too much and having to deal with re mixing it. STAINS OR CLEAR: Product can be used Clear or added to Rainforest with Stain in it. It can be added to clear product or product with stain. Used as a clear wood finish or stain it will provide extra grain illumination. Most stains are highly diluted and end up looking very flat and lifeless. Our wood finishes illuminate wood grain on their own, adding 3D will make it pop even more. There is a life and depth to the stain that looks significantly better. CLEAR COATING 3D WITH A PROTECTIVE FILM: 3D Illuminator is a rubbing oil lacquer. It’s Not a film forming coating. On many interior pieces and low traffic areas there is no need for a clear protective top coat over 3D. For wood floors or higher traffic projects a clear coat may be necessary. A clear top coat can provide a sacrificial barrier to keep the beautiful 3D wood figuring from getting damaged. To apply a protective film over 3D use Mountain. This will lock in the chatoyancy and protect it, maximizing light pathways in the wood grain. Always top coat areas that will be exposed to standing water or add 3D to Rainforest or Bio Poly and then apply. If you Mix 3D with Rainforest at a 1:1 ratio you can use NanoTech as the clear coat. If you use it pure, Mountain is the best clear coat. APPLICATION TEMPERATURE: Do not apply below 32F. (70-80F is ideal for faster drying). Some fine woodworkers will heat the product first for greater effect. 3D can be applied warm to lower viscosity and gain deeper penetration. Caution: Wear heat resistant rubber gloves, safety goggles and impermeable skin protection and a Niosh approved respirator if applying heated product. DILUTION: None necessary. If desired the user can add Pure Citrus Solvent or Corn Solvent. Typical dilution rate is 2 oz per pint or 16 oz per gallon. Maximum dilution is 50% or 8 oz per pint / 2 quarts per gallon. Earth Clean and water at a 1:1 ratio can also be used to dilute however this may tend to darken certain woods like cherry more than using Citrus or Corn Solvent. Corn Solvent will speed the dry time. SAMPLE BOARD: Know before you go. Make a sample for customer to approve 1st. APPLICATION TOOLS: Use a lint free rag, high quality natural bristle brush, ¼” nap roller or foam roller. All tools will need to have lint removed from them first. 3D Illuminator is a rubbing oil. Do not roll it on and leave, like a poly. Roll it on and wipe it down. Read Manufacturer Safety Data Sheet. 1.) Wear safety glasses, protective clothes and rubber gloves. 3.) Apply evenly. As the wood absorbs nourishment it will richen. Go back and forth over the surface to spread product evenly and insure it is as deep into the wood as possible. Apply wet on wet coats if the wood grain calls for it. 4.) Rub wood finish into wood with a rag to highlight wood grain as desired. 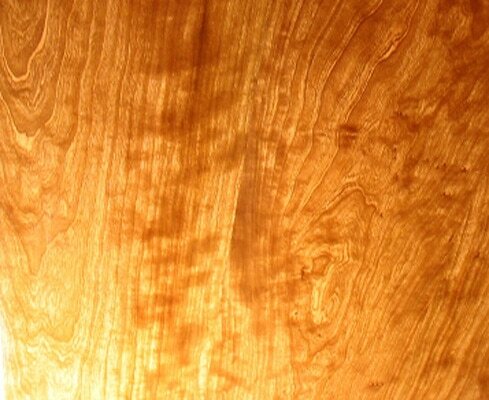 The first coat is the most important coat for wood grain illumination. So, if you really want it to pop, now is the time. 5.) Wipe clean with a dry, lint free cloth. Don’t leave excess moist product on the surface. Essential Point: Allow the wood to absorb what nourishment it needs and then wipe everything off the surface. Wipe across it with a dry rag. The dry rag should flow smoothly across. If drag and pull is encountered the surface should be wiped down more thoroughly. 6.) Apply multiple coats as desired and Polish to desired sheen. Looking Glass Beeswax Polish is a very nice wood finishing touch and a very easy way to spruce finishes up over time. 7.) Oil Soaked rags in piles can self ignite. Make sure any oil soaked rags are put in water or dried flat in open air and not piled up. Wash rags with Earth Clean and dry flat. 8.) Fixing a Misapplication: If you make a mistake and apply too thick or forget to wipe down the surface: Clean it up asap. Don’t wait for it to dry. Clean off with a rag soaked in Earth Clean, Corn or Citrus Solvent. When it’s clean apply another coat to even it all out, being sure to wipe it down with a dry rag. Corn Solvent is the strongest solvent for this type of situation. DRY TIME: Depends on mix and dilution - Typically dries to touch in 3-6 hours @ 75F & 50% R.H. When using product pure, 2-3 coats a day can be applied when the temp is kept warm & dry. Some users find coats can be applied one after the other with no dry time between coats. When adding 3D to Rainforest / Bio Poly typical recoating can be done after overnight dry but depends on how much 3D Illuminator is added. When mixed 1:1 multiple coats can be applied in one day. Setting a piece in the sun or in front of a lightly blowing fan or heater on low will also speed dry time. Use caution near flammable product and use care not to warp wood by applying too much heat or sun. Colorant, Surface Porosity, Rain, Humidity and Coldness slow drying. When doing floors, keep warm dry air circulating mildly with two windows open for cross ventilation. RESUME TRAFFIC: Wait 12-48 hours to resume light traffic or functional use. Obviously, this will depend on what was coated since 3D has a great variety of uses. Go lightly on the finish for the first few days or week. Move furniture gently after a day or when it’s dry to touch. Use cloth or floor protectors under furniture to protect wood floors that were finished. 3D Illuminator will get hard and gain hardness as it ages. CLEAN UP: Earth Clean - Heavy Duty Cleaner and water. 1 to 1 ratio. MAINTENANCE: Wash with Earth Clean - Heavy Duty Cleaner diluted as indicated on back label. Wait one week before washing. HEIRLOOM QUALITY SANDING and FINISHING SCHEDULE: For fine wood pieces sanding can be irreplaceable. Mill, Plane, Sand 50, 60, 80 grit with a belt sander, Apply warm 3D PURE PINE wood finish now and get it as deep down in the wood as you can, Sand 100, 120 Apply Finish warm until saturated, sand 150, 180, 220, Apply finish now, as much as the wood will take, sand 320, 400, 600 apply finish now. Dry and Wet Sand 600, 1000. Dry and polish with a rag wet with finish. Let dry. Polish with Looking Glass Beeswax Polish. Sleep well. You just made wood happy. Honored. Timeless. Heirloom.